Moviegoers and trade pundits are awaiting the release of SS Rajamouli’s magnum opus Baahubali The Conclusion, following the stunning success of its part 1 Baahubali The Beginning. To fans delight, there has been speculation on Baahubali 2 teaser release date. If the latest buzz is to be belived, Baahubali 2 teaser trailer will be released on October 23rd on the occasion of Young Rebel Star Prabhas birthday. An official announcement however is awaited from the makers. 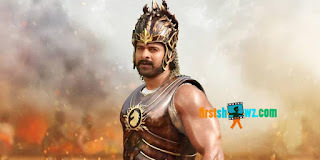 Baahubali The Conclusion shooting schedules are expected to be wrapped by November, while the post-production works are in progress simultaneously. The film casts Prabhas, Rana, Anushka, Tamanna, Ramya Krishna, Satyaraj in central roles, and is set for April 28, 2017 release.